It was the one good thing that came out of the haze. And I’m not talking about Friday being declared a “voluntary non-work day” by the Ministry of Manpower (MOM). The announcement turned out to be a hoax. Did anyone even fall for it? Just because we had two extra public holidays this year (Jubilee Weekend, Polling Day), do we assume that public holidays simply fall out of the sky now? 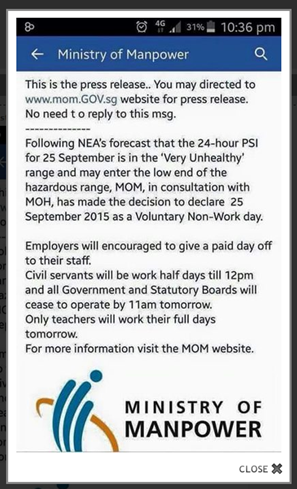 But what made the “voluntary non-work day” announcement so credible was that the Ministry of Education (MOE) had announced on Thursday night that school would be cancelled the next day because of the haze. 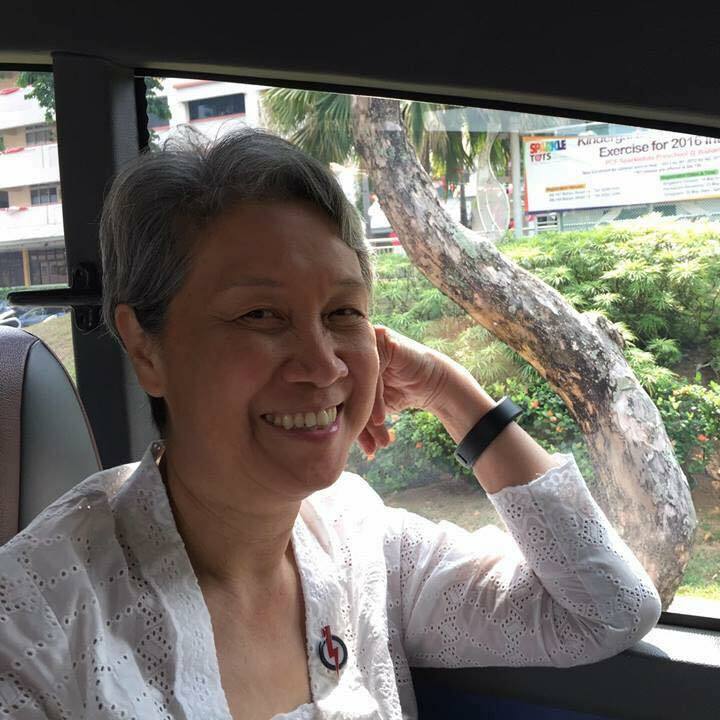 Are we so gullible to believe that MOM would care as much about the health of Singapore workers as much as MOE cares about the health of the Singapore school children? Of course not. But then the “voluntary non-work day” wasn’t even an outright holiday. According to the fake MOM announcement, civil servants got only half a day off and employers were merely “encouraged” to give their staff a “paid day off”. I suspect the haze had already “encouraged” a few employees to get an MC anyway. But you know who can’t get an MC? My wife. That’s because she’s a stay-at-home mum. And even though she’s a mum, she’s not under MOM. But the haze has affected her too. The one thing she hates most about being a stay-at-home mum is waking up early every morning to get our two teenage children ready for school. If she doesn’t wake up, the kids don’t wake up. No non-human alarm clock can rouse my children from their coma-like slumber. Because I work late regularly, I sleep through the whole thing, so I don’t care. On Thursday night when MOE announced the school closures, no one was happier than my wife. She was going to sleep till noon the next day. Finally, something good came out of the haze. She found out that only primary and secondary schools were closed. My daughter is in Secondary 4 and my son is in his second year of junior college. So my wife still had to get up early for my son. 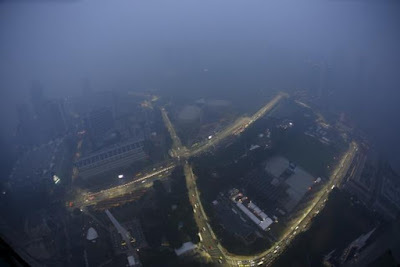 She felt like she was hit by a Formula One car driven by Sebastian Vettel near turn 13 at the Singapore Grand Prix. Why, MOE? Why did you cheat my wife’s feelings like that? Why didn’t you close junior colleges too? Is the haze rated NC16, suitable only for persons aged 16 and above? It must be because of the obscene PSI readings. 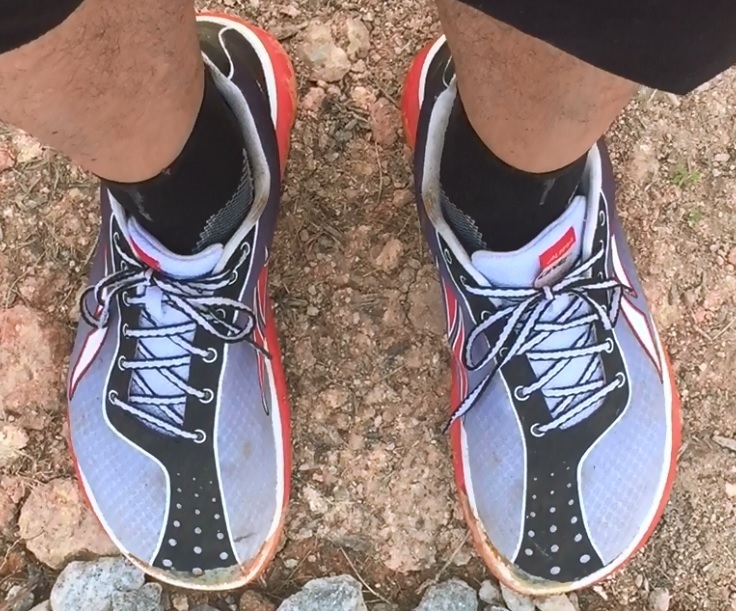 It felt like 2013 all over again. On Thursday, the PSI was so high that Pizza Hut, McDonald’s and KFC announced that they were suspending home delivery — just like in 2013. That’s when you know the end is nigh — when you can’t go out to get food because of the haze, and the food can’t come to you. Ironically, the next day, when MOE closed the schools, the haze situation apparently improved enough that the food companies resumed their delivery service. [ RESUMPTION OF DELIVERY SERVICE ] As conditions with the haze have improved, we have resumed our delivery service. Thank you for your kind understanding. So did MOE jump the gun? Or Pizza Hut? Ask the people queueing outdoors for the new iPhone 6s on Friday morning. Wow, deja vu. I just flashed back to June 2013 when people were queuing for the black Hello Kitty doll at McDonald’s in the haze. I was one of them. But unlike Friday, schools weren’t closed in 2013 because the haze happened during the June school holidays. Surprisingly, my son didn’t feel any resentment that he had to go to school on Friday in the haze and his sister didn’t. 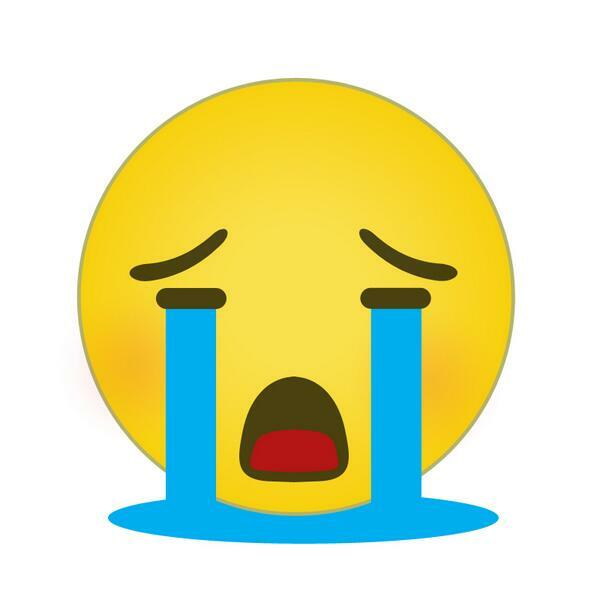 My daughter, on the other hand, resented that her chemistry teacher gave her more homework via WhatsApp. 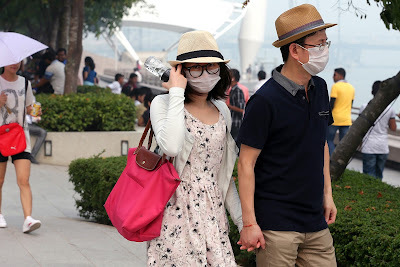 Her teachers weren’t that happy they had to go school on Friday in the haze too. 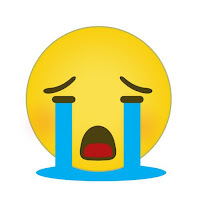 Her history teacher used not one but two crying face emojis in a WhatsApp message to the class. My wife knows how he feels. Can teachers complain to MOM? I don’t mean to complain, but the haze is back for the second time this year and it’s worse than before. In March, the three-hour PSI in Singapore hit 106, which is in the unhealthy range. Hmmm, what were these “burning activities in the region” NEA was referring to? Since this happened in March, it couldn’t be Singaporeans burning stuff for the Hungry Ghost Festival since that takes place around August and September. 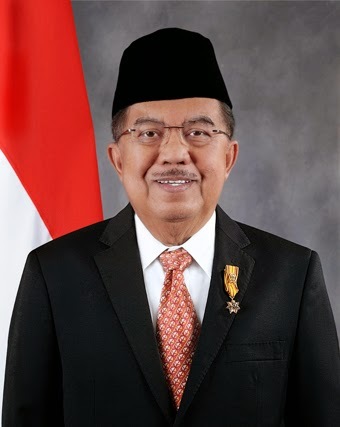 “Vice-President Jusuf Kalla has denounced neighbouring Singapore and Malaysia for complaining about the severe haze caused every year by Indonesian forest fires. “He said he took note of the way the neighbouring countries had kept complaining when toxic haze from adjacent areas in Indonesia, Riau in particular, fouled their air. Was the Indonesian vice-president right? Should we be grateful for the “nice air from Indonesia” we get the rest of the year? This wasn’t the first time that someone had complained about our complaints. “It is important that we do not complain too much when we can’t get the house that we want, we can’t get the carpark that we want, when the MRT trains are a little crowded. It’s so quaint that when Mr Goh made this speech five years and a gazillion breakdowns ago, all you could complain about the MRT trains was that they were “a little crowded”. O, Phaik Hwa, Phaik Hwa! Wherefore art thou, Ms Saw Phaik Hwa? But despite Mr Goh and Mr Kalla complaining about our complaining, we can’t seem to break the habit. It has been our favourite pastime after shopping and eating for too long. 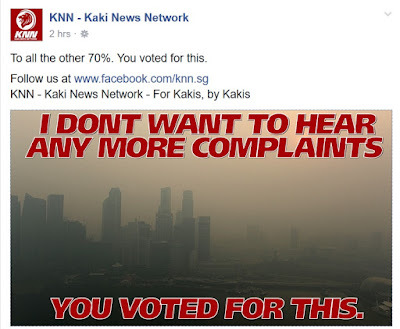 I don’t think he means he wants Singaporeans to stop complaining. He just wants Singaporeans to stop complaining to him. But then why would we complain to him? It’s not like he’s a Member of Parliament and can do anything except compare Singapore to North Korea. What I infer from Mr Jeyaretnam’s remark is that many people had been complaining to him about the Government, which led him to believe that many were unhappy with the ruling People’s Action Party (PAP) and thus his party had a good shot of winning the election. When this turned out to be not the case, he understandably felt misled by the complaints and doesn’t want to hear them anymore. 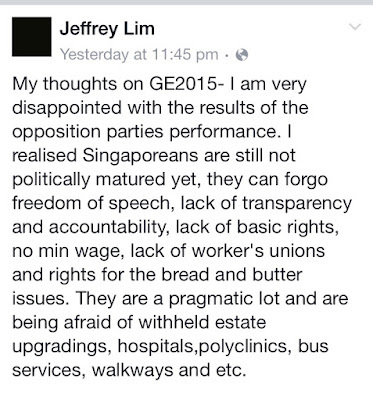 But Mr Jeyaretnam wasn’t the only one blindsided by the election results. Many have given their analysis on why the PAP did so well in the election, but the real question is why no one saw it coming. Not even the PAP. The answer? All the complaining we do. My guess is that the “feedback” they heard were complaints about the Government. This Complaints Index is probably not the most reliable indicator of how Singaporeans will vote. So the lesson the opposition parties have learnt here is that just because they hear many complaints about the Government, it doesn’t mean the majority will vote against it. So it’s their turn to complain about the complaints. Just like the Indonesian vice-president did six months ago. Hey, wait. 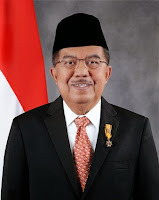 Didn’t Mr Kalla say we get to enjoy 11 months of “nice air from Indonesia”? But we had the haze in March, August and this month, and the year isn’t over yet. That’s less than 11 months of nice air! Can we complain now, Mr Kalla? That is, if Mr Goh and Mr Jeyaretnam are okay with it. "Singaporeans are apathetic and politically immature." "Thank you for voting for and with stupidity." Are Singaporeans like frogs in boiling water, thinking only of short term gains and ignoring the dangers of a one party government? EARLIER: GE 2015 aftermath: Whither the Opposition Manifest Destiny? UPDATE: I'm confused: Who's complaining about who complaining about who complaining? If Darryl David can be an MP, why not 1994 Manhunt winner Benedict Goh? 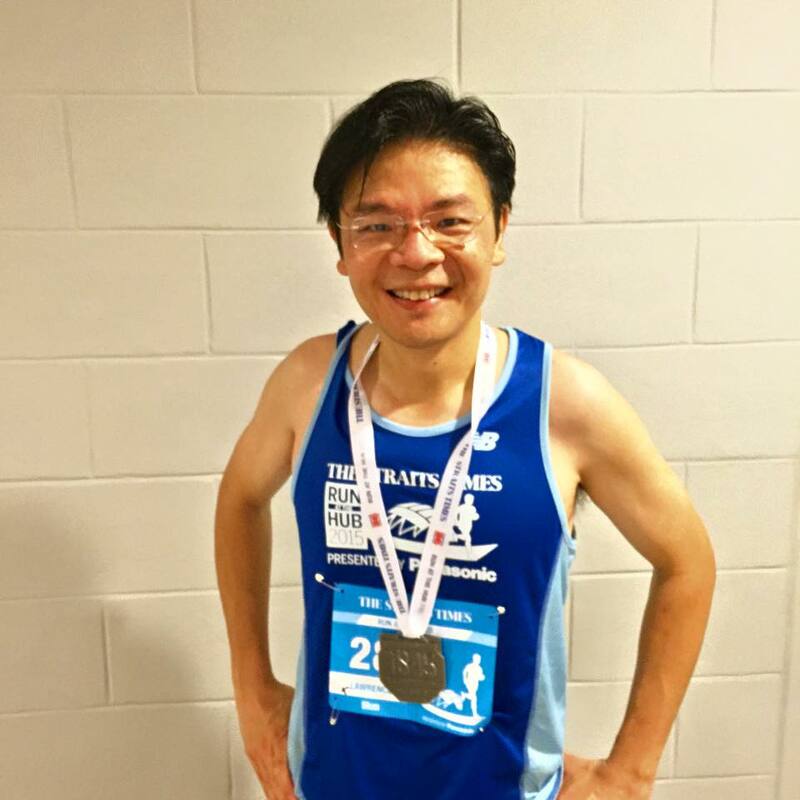 Could Benedict Goh be your MP next? After all, he was a Pyramid Game host, like Mr Darryl David, who was just voted into office as part of Prime Minister Lee Hsien Loong’s Ang Mo Kio Group Representation Constituency (GRC) team. Who knew that hosting a game show on Channel 5 could be a stepping stone to political office? 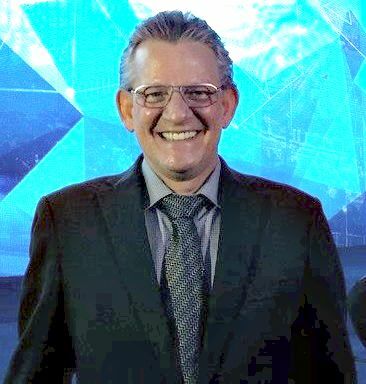 How about the guy who hosted the Singapore version of Who Wants To Be A Millionaire? I mean, he already has experience promising people money if they qualify. Isn't that what politicians do anyway? Unfortunately, the guy’s name is Mark Van Cuylenburg, but he is better known as The Flying Dutchman (or FD for short). 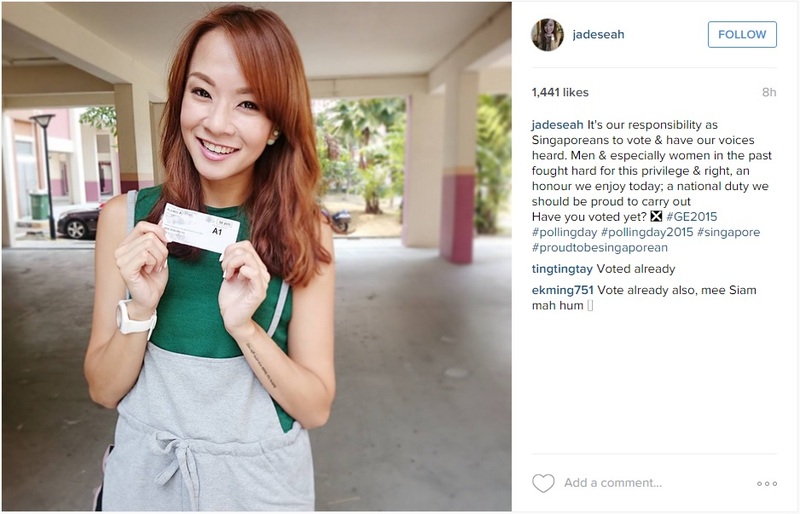 That might sound a tad too foreign to win over Singapore voters. 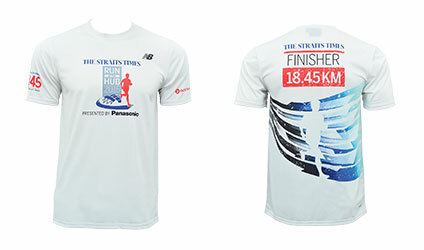 Maybe he could change his name to The Flying Singaporean (or FS for short). But I believe many would vote for Hossan Leong, who hosted a game show called We Are Singaporean. You can’t possibly get more Singaporean than that. 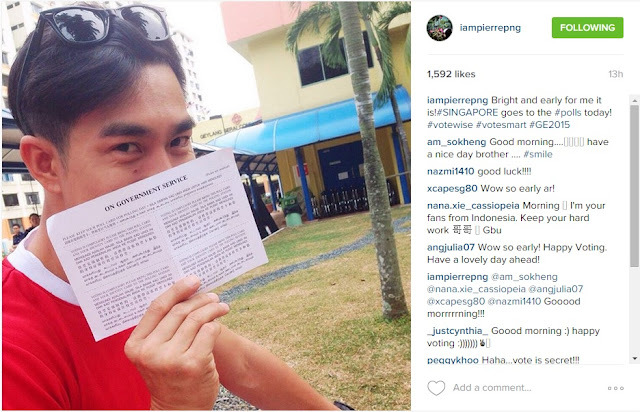 Actually, you can because Leong has branded himself as “Singapore Boy” after his stage show called Singapore Boy. I guess he really wants to double confirm that people know he’s not Malaysian or some other nationality. And that he’s a boy. But, of course, you have to be able to do more than just host a game show to contest in an election. You should also have some contesting experience. That's why Goh, the aforementioned former Pyramid Game host, would make an ideal candidate. Before becoming a TV host, he not only competed in and won the 1994 Manhunt contest, he represented Singapore in Manhunt International and came in third runner-up. He also won the title of Mr Personality. And honestly, isn’t the General Election just a form of nation-wide Manhunt but with women and more clothes on? If that isn’t enough to convince you of Goh’s potential as a candidate, let me point out that he was also a regular cast member in the local sitcom, Happy Belly. You know who else was a regular cast member in Happy Belly? A certain member of the newly elected Ang Mo Kio GRC team by the name of Darryl David. Who knew that being a regular cast member in Happy Belly could be a stepping stone to political office? Happy Belly also starred Lim Kay Siu, best known for his role as Phua Chu Kang’s nemesis, Frankie Foo. What’s more, Lim’s brother, Lim Kay Tong, played Mr Lee Kuan Yew in the movie, 1965. So the PAP connection is there. 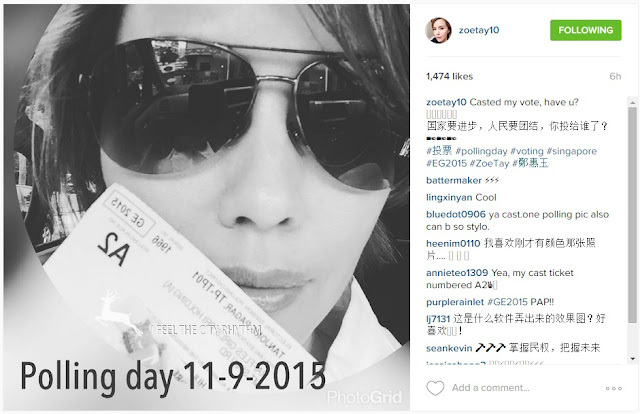 Unfortunately, Kay Siu has never hosted a game show. So he is unlikely to be chosen to be on PM’s team. But Happy Belly wasn’t the only TV show that Mr David acted in. He also appeared in several episodes of the local Twilight Zone rip-off called Shiver. Who knew that working on Shiver could be a stepping stone to political office? You know who else worked on Shiver? That’s right. I did. Your favourite Sunday columnist wrote eight out of the 30 episodes of Shiver. Should I expect an invitation to a “tea session” come 2019? Unfortunately, I have never hosted a game show or taken part in a Manhunt competition despite my god-like physique. But I worked on Shiver with Mr David so closely in 1997 that 10 years later when he became some big shot at Temasek Polytechnic, I felt comfortable enough to e-mail him and ask him for a job there. I reminded him of the time we worked so closely on Shiver. “Good to hear from you! Shiver? Hell, just hearing that makes me want to shiver. “Thanks for your e-mail. At this point in time, we don’t really have anything open in the area of your skill sets, but I will definitely keep you in mind should anything pop up. Did you read that? I’m “his man”! Okay, maybe I really didn't work that closely with him. 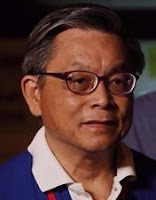 Perhaps I should’ve asked the other ex-Pyramid Game host, Goh, who is now the chief client officer at an interior design company called Fide Living. Wait a minute. There was another guy who hosted The Pyramid Game — Samuel Chong. I worked closely with him on Living With Lydia! I could ask him for a job. Unless he’s too busy attending a “tea session”. 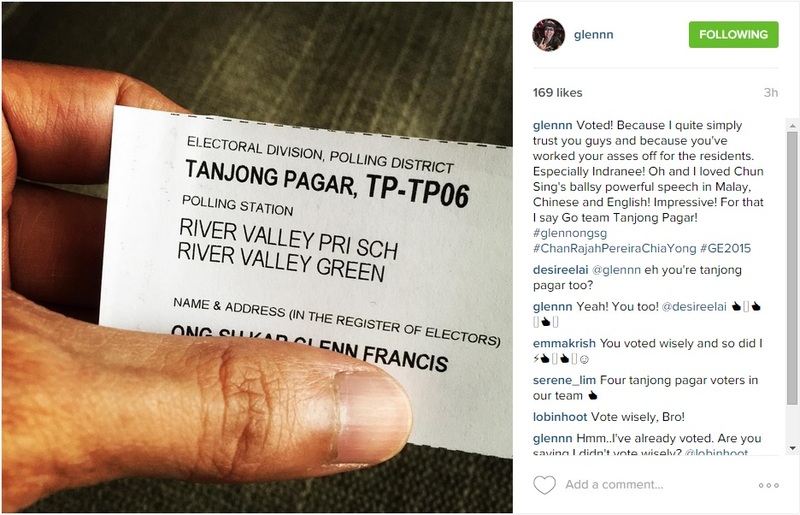 GE 2015 aftermath: Whither the Opposition Manifest Destiny? You could say it was 9/11 for the opposition. Many were surprised by the election results. Shellshocked even. I believe even PAP wasn't expecting such a victory. How did the party win so big? 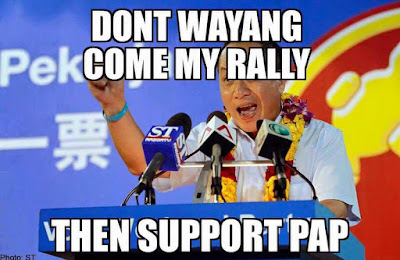 Didn't you see the tens of thousands of people at WP's rallies? Wasn't this supposed to be Dr Chee Soon Juan's big political comeback? Was it the LKY effect? The SG50 effect? The Pioneer Generation Package effect? The gerrymandering effect? All of the above? 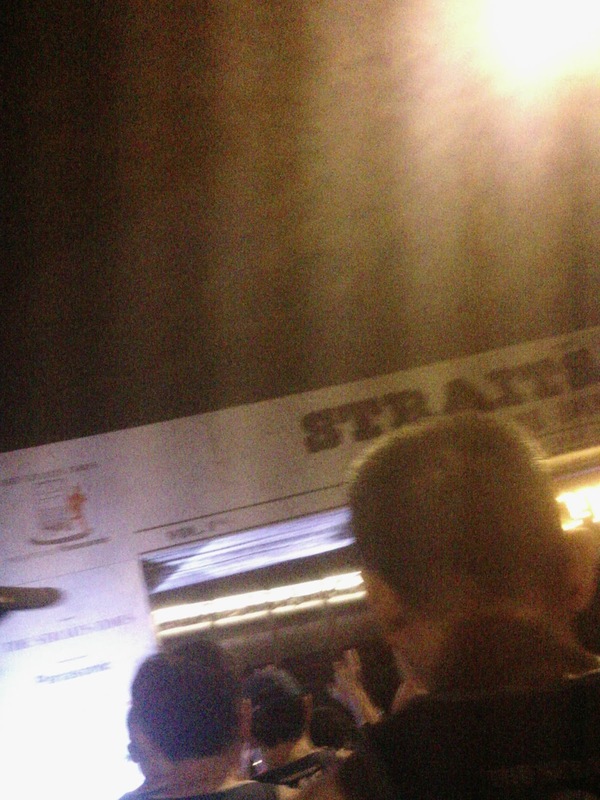 If you ask me, PAP won because, strange as it may sound, the ruling party was the underdog in this election. And being the underdog, PAP came out swinging. 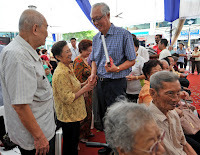 Unlike the 2011 election, where (apart from LKY's "repent" remark) the defining PAP moment was PM Lee saying the Government should apologise for its mistakes, there was nothing apologetic about PAP's campaign this time. It was an all-out attack on WP with the AHPETC issue, forcing WP to play defence. The overly complicated details of the AHPETC issue didn't matter (although it was to PAP's advantage that they were overly complicated). All that mattered was AHPETC became the issue of GE 2015, allowing little room for other issues, like CPF and the whole foreigner thing, which many had long assumed would be PAP's downfall, to gain traction. 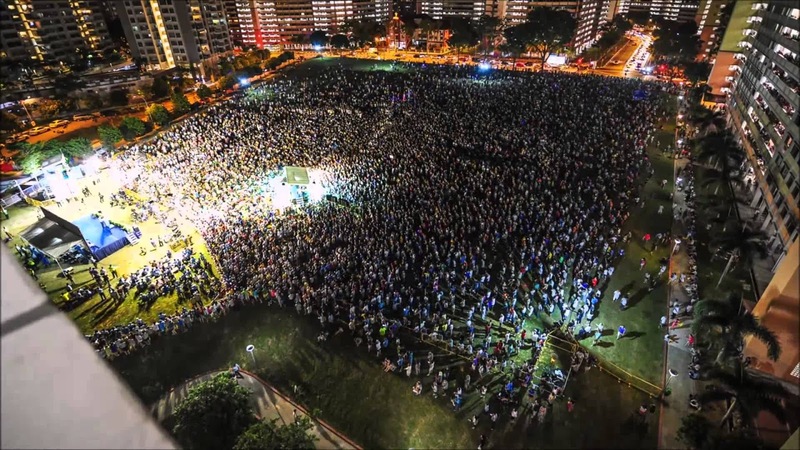 Because of WP winning a GRC for the first time in 2011 and Punggol East in the 2013 by-election, there had appeared to be a trend of the opposition gaining more seats with each poll. This gave rise to what I call the Opposition Manifest Destiny, a sense that the expansion of the opposition in Singapore is righteous and inevitable. 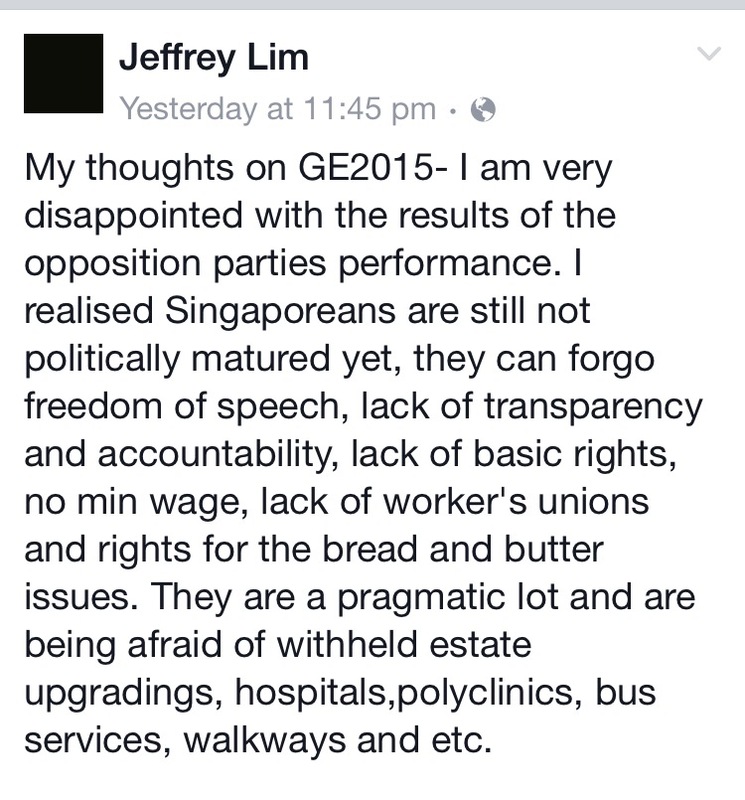 In other words, the opposition are on the right side of history and PAP is not. This was further reinforced by social media, the huge turn-outs for WP rallies and the resurgence of Dr Chee. It gave the opposition and their supporters not just hope but confidence that they were really going to make a difference this time - and it turned PAP into the unlikely underdog. Observing this, a moderate voter might be thinking: "I want more opposition in parliament but just a bit at a time. I don't want them to suddenly take over. Since everyone else is voting for opposition, I'm going to vote PAP." 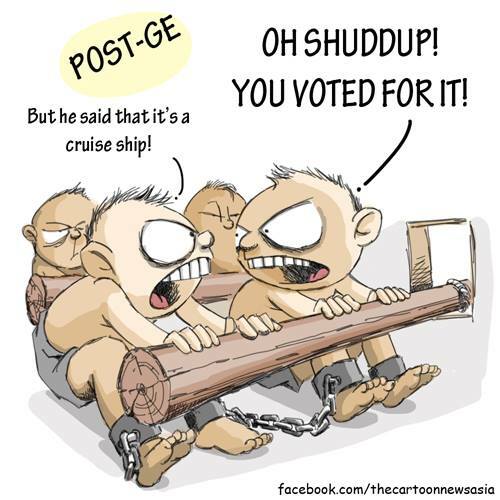 Is that voting "wisely"? Depends on who you ask. 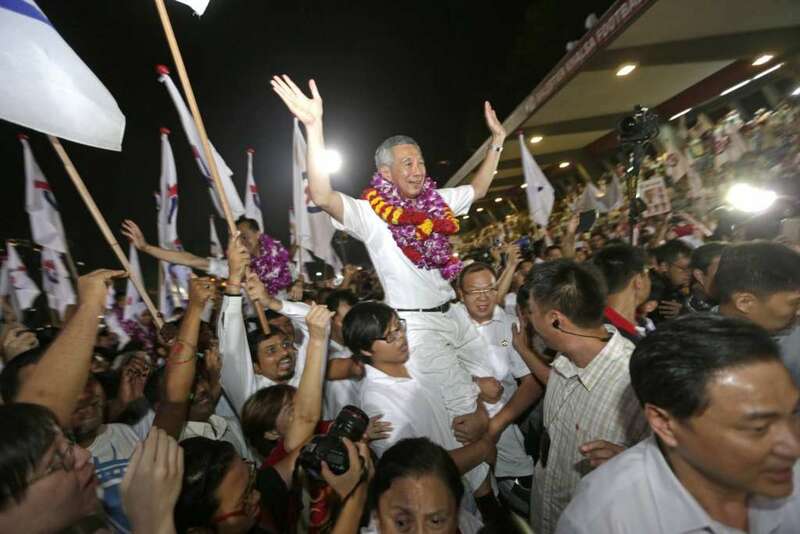 The result: PAP won almost 70 per cent of the popular votes compared to 60 per cent in 2011. 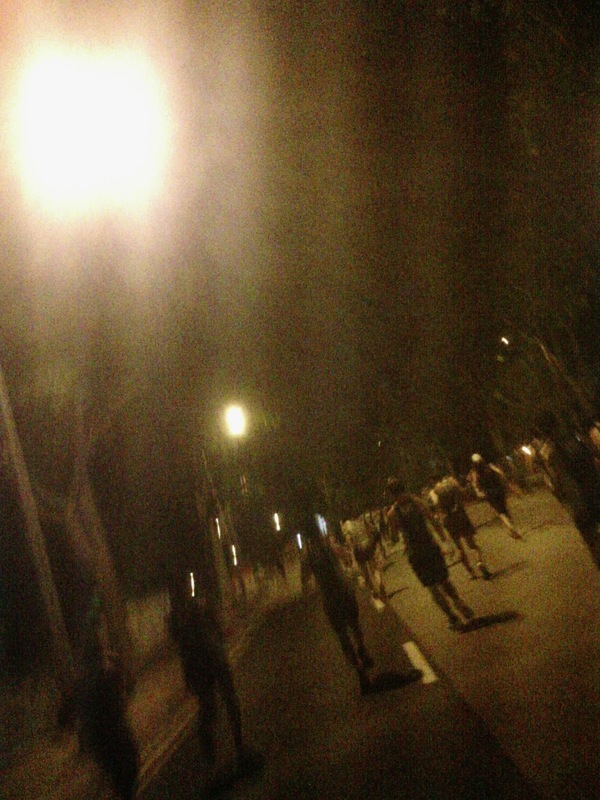 And the party got Punggol East back. The opposition didn't know what hit them. So is the Opposition Manifest Destiny dead? At least WP still has Aljunied and Hougang to work towards that destiny. I just hope that during the next election, when you see a massive crowd at a rally, remember that that's all it is, a massive crowd at a rally. 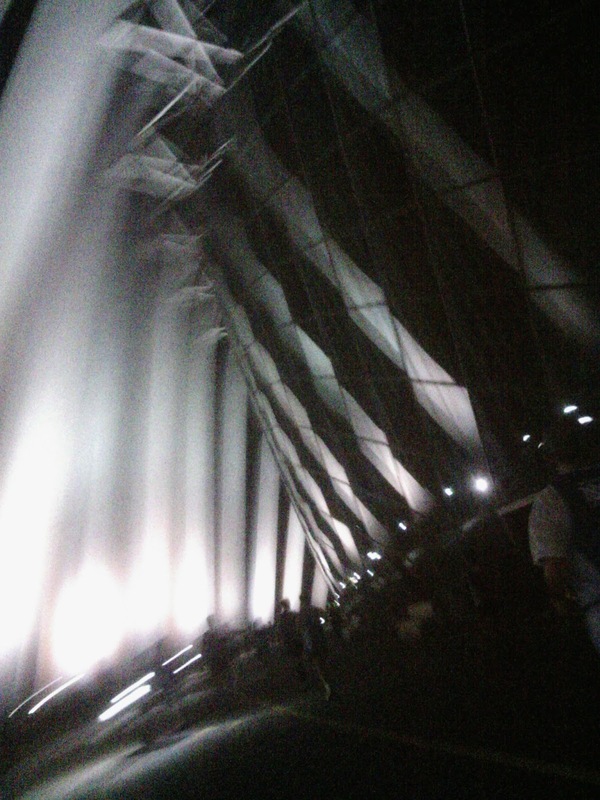 There are also massive crowds at K-pop concerts. It's not votes. And please, nobody says SG100 again until 2065. I just had a heated discussion with a colleague about the AHPETC issue. He is of the opinion that PAP made a mistake by attacking WP on the issue because it turned off voters who could've helped PAP win back Aljunied. 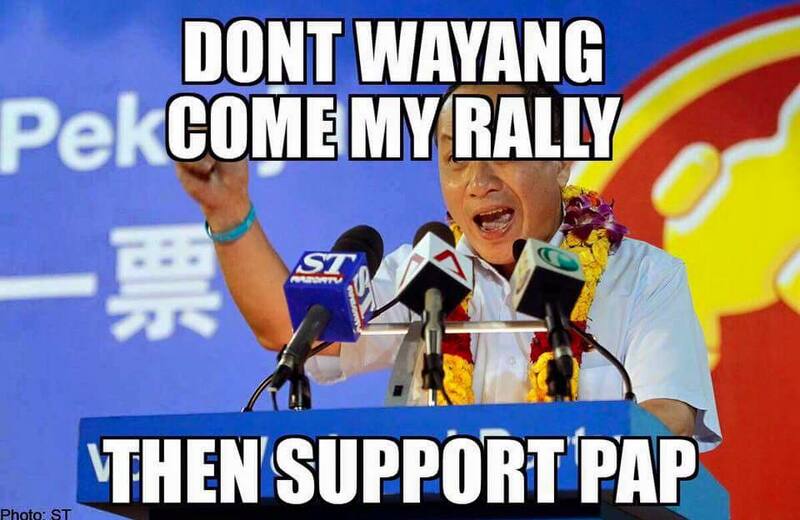 He believes that PAP realised the mistake and tried to drop the issue, but WP wouldn't let it. I have no opinion whether the AHPETC issue helped or hurt PAP's chances of winning back Aljunied, but it was less important for PAP to win back Aljunied than to not lose any more seats. And PAP accomplished the latter, and then some. But my colleague remains convinced that PAP's attack on WP over AHPETC was a strategic mistake. I agreed to disagree. 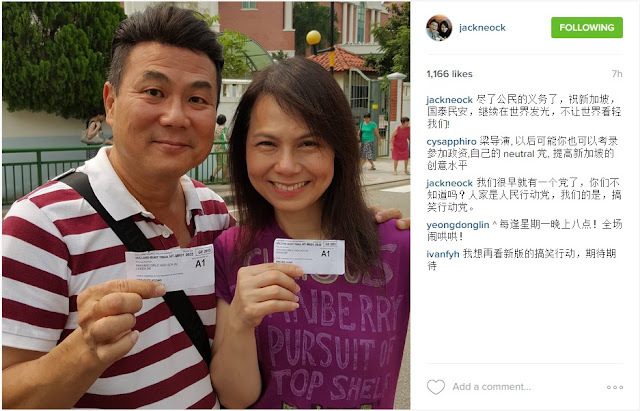 Is Ho Ching not-so-subtly campaigning for hubby's party on Facebook? I follow the prime minister's wife, Ho Ching, on Facebook because, you know, yolo. She mostly shares such quirky items like an article on why Winnie is called a Pooh and a video of JJ Lin with Chen Tianwen. This is surprising because she usually just shares links without comment. This looked like something she actually typed out herself. Still, with an opening like "Ever wondered how SG remains a top rated triple-A credit country? ", it could easily pass off as another one of those interesting informative articles she shares so often. But knowing that she's the CEO of Temasek Holdings, you realise she's providing a rare insider perspective on how Singapore manages its reserves. Is she not-so-subtly campaigning for PAP by going on and on about what a good job her husband's PAP Government is doing in managing the country's money? It's subtle because she doesn't mention PAP or her husband at all. It's not so subtle because we all know who her husband is. It ain't Donald Trump. This is out of character for her because she has generally avoided posting anything political on Facebook even though she has shared some PAP stuff, more so in recent days because of the election. But her timeline is still pretty much filled with Brain Pickings and lots of nature photography. Then last night, she did it again. Has anyone looked at the shape of the SG budget over the years? MOF has published the SG budget numbers on its website since FY1997. Operating revenue includes taxes as well as fees and charges like the vehicle quota premiums. Total Expenditure covers all government expenses from defence to education, from social services to healthcare, including operating as well as development expenses such as building of schools or hospitals. As we can see, Singov’s operating revenues went from 20% of GDP before FY2000, to around 15% of GDP the last 15 years or so. This was a major change. MOF detailed budget data also shows tax revenues including GST going from around 15% of GDP in the late 1990s, to around 12-14% since FY2002. Government expenditure has been kept tight, in the 12-15% range since FY2004. Both government revenues and expenditures have grown in actual dollars over the years – they have come down as a percentage of GDP partly because Singapore’s GDP has grown steadily and faster. In contrast, OECD economies have an average tax burden over 30% (not counting other fees and charges), double the rate for SG. Some Scandinavian countries like Denmark, have high tax burdens of almost 50%. Even Norway with its sovereign wealth fund from oil & gas, the largest in the world, has a tax burden of over 40%. Others like the USA do not have just federal tax burden, but also state and municipal taxes on top. US government expenditure is over 40% of GDP. Even Hong Kong, without any expenses on defence, has government expenditure of over 18% of GDP in recent years. Looks like Singov is a pretty lean government with a much lighter tax burden than most other developed economies, no? And in case you are wondering about the last row of data called Primary Budget surpluses (or deficit in case of a negative number), yes, you would be right. The 3% average annual budget surpluses for the three years before FY2000 were pretty much what went into the government reserves, as the special transfers and top ups for those years were not as substantial as the post FY2000 periods. I mentioned in an earlier post this morning that the returns from investments used for Singov budget last year amounted to S$8.6 billion. This helped to fund the S$8 billion put aside for the Pioneer Generation package to provide healthcare subsidies for our Pioneer Generation for the rest of their lives. Judging from the surpluses accumulated before FY2000, I think it is quite fitting that a good part of the returns generated from past surpluses, is being used to fund our Pioneers in their retirement years. Going forward, if we are to maintain a competitive tax structure (as we must), we will not likely see such large government surpluses. So the rate of accumulation of reserves would be slower. Hmmmmm ….. If we don’t want to see higher tax burdens, we should not be careless or wasteful in our spending: as important for government as for all of us as a people. For the teams in GIC, MAS and Temasek, and perhaps for Team Singapore as a whole too, the load on the shoulders may seem a bit heavier to ensure that we continue to deliver for the long term, with discipline and integrity. Meanwhile, have a very goodnite, everyone! As Hossan Leong would say, double confirm! 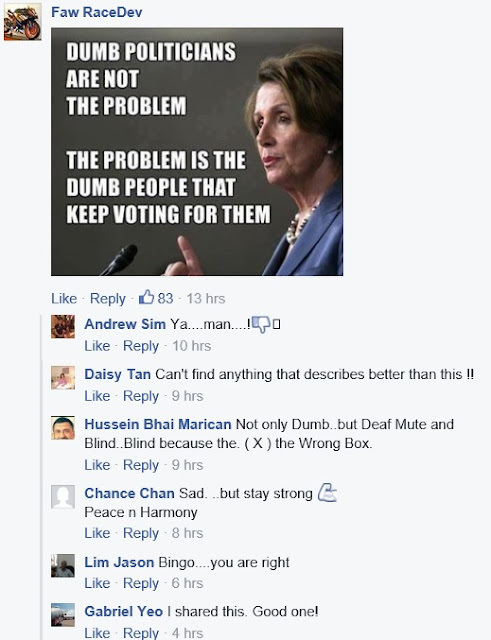 The PM's wife is not-so-subtly campaigning for PAP on Facebook. The profile photo is also a bit of a giveaway.